The punishment suffered by the wise who refuse to take part in the government, is to suffer under the government of bad men said Plato. The governance is perennial permutation and election is periodic mutation. Governance is not limited to electoral reforms alone; it has got embedded with a multitude of vicissitude. India is synonymous with democracy and it has become a shibboleth in political parlance to address India as the largest democracy. Democracy is an engine that is propelled by the fuel of equality with equity, liberty with pluralism, fraternity with multiculturalism and unity with diversity on the tracks of rule of law and public participation. But democracy has eviscerated democracy in India due to its being in the hands of people who do not subscribe to an idea called institutional constitutionalism that in turn ensures good governance. The good governance germinates and gestates choices called election that is an inalienable and non-derogable feature of democracy that works as the spinal cord to sustain diversity, pluralism and multi-culturalism. Election is not a seasonal pomp and show but a sacrosanct and serious process of upholding norms of democratic way of life in all geo-political entities including India. Thus, election is not limited to change of one set of political structure with another one but it a multitude of many dimensions. However, there is a pejorative trend in the most powerful methodology of making choices at the hustings. Despite the fact that scientific and technological advancements [EVMs (Electronic Voting Machine)] are being employed to elicit the free and fair preferences and predilections of We, the People of India, at the electoral politics but electioneering still lacks transparency in terms of funding, trolling, and defection etc. The robust economic reforms peregrination of India since 1991 has made an indelible integration of Indian economy with the world economy but at home has created a democratic deficit in the Indian polity and left it unattended that is overdue parliamentary reforms called electoral reforms agenda. The electoral reforms in 21st century context have become more important and relevant than ever before. In the absence of electoral reforms, democratic deficit is having an incremental impact in the form of low voter turnout, no compulsory voting, no postal voting and no online voting. These trends are bad for democracy as people’s engagement in the political process is dismal and many vulnerable sections like minorities and Dalits feel alienated and excluded. Consequently, electoral reforms agenda is subjected to amnesia by the political executive that has been basking in a state of hubris since the inauguration of the Constitution of India. This sordid state of affairs has presented a desideratum; can economic reforms alone deliver? How to address the interplay among issues of corruption, accountability, rule of law, political party development, public administration and economic reconstruction in elections in divided societies? How is good governance achieved in elections? How to promote good governance in transition? 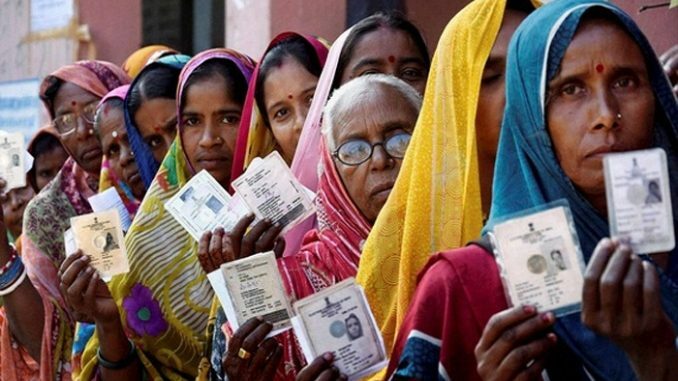 Is everything fine with the existing electoral process in India? Are we, the people of India suffering from democratic diseases or excessive democracy? The first three general elections (1952-1962) have been regarded free and fair elections but subsequent elections are marred by the distortion of the power structure at every level of governance. Consequently, positive power has been restricted and negative power remains unchecked. State organs have become dysfunctional and have been suffering maximum government and minimum governance. Elections only change players but there is no change in the rules of the game. Moreover, authority stands delinked from the accountability and rule of law. Institutional on-performance has become rampant, good behaviour is not rewarded and bad behaviour is not punished and honesty and political power have increasingly gone incompatible. There have been several attempts to have electoral reforms agenda executed wherefor few committees and commissions were constituted such as 1990 Goswami Committee on Electoral Reforms, 1993 Vohra Committee Report, 1998 Indrajit Gupta Committee on State Funding of Elections, 1999 Law Commission Report on the Electoral Laws, 2001 National Commission to Review the Working of the Constitution, 2004 Election Commission of India with Proposed Electoral Reforms and 2008 The Second Administrative Reforms Commission. These committees and commissions have adumbrated the appalling deviations, discrepancies and irregularities in the election process and made pragmatic recommendations to reform the electoral architecture. Electoral canvas of India is in utter chaos from top to bottom and it appears beyond correction at least at the end of political architects of the country. The Election Commission of India has been making all efforts to cleanse the electoral system but We, the People of India, only look up to the highest judicial establishment of the land—the Supreme Court of India—for the redress of our repinements. However, judicial branch of the state should not be treated as a panacea for all ills that have been plaguing the country since its emergence out of the colonial clutches in 1947. There is crisis of governance that has raised its ugly head in many forms like Increasing Lawlessness, Inefficient State Apparatus, Unresponsive Bureaucracy, Expensive Judicial System (or Ineffective), All Pervasive Corruption, Criminalization of Politics, Politicization of Criminals, Money and Muscle Power in Elections, Political Instability, Erosion of Legitimacy of Authority, Fiscal Power [Cash Limit], Misuse of State Machinery [Incumbent Government], Compulsory Voting [Penal Consequences], State Funding [Reimbursement of certain % of amount] [National Election Fund], Casteism, Communalism, Religion, Regionalism [CCRR], Intra-party Democracy [Nepotism and dynastic political outfits are autocratic & unaccountable], Inclusion, Exclusion and Cessation of Candidates [Qualifications etc. ], Candidate Expenditure Limits- No Limit on Political Party, Corporate Electoral Trust/Corporate Funding to Political Parties [Proposal for Electoral Bonds], Issue of Foreign Funding Taken By BJP and INC and How to bring Political Parties under RTI? In this conspectus, there is a need to have comprehensive, consolidated and holistic electoral reforms while addressing following submissions along with all issues that have been identified hereinabove that there must not be a caste-based or religion-based delimitation of parliamentary and state assembly constituencies, True Representation of political attitudes must be attended, state funding of election campaign must be based on securing minimum percentage of vote share by a political party and to equalize the election completion, there should be an easy procedure for voting, vote counting, ballot design that must be identifiable by the ordinary voter. The Constitution of India must appropriately be amended to address the administrative and legal framework to make the electoral reforms more pragmatic and practical, election law must make transparency a prerequisite of a fair election and change the way politicians plan to win the elections under all circumstances, the Election Commission of India should again be a single member body or primacy to the opinion or decision of the Chief Election Commissioner (CEC) of India be accorded in the existing election body to ensure fairness, transparency and integrity of the system, the avenues must be cajoled to ensure full turnout of the voters, National Transparency Courts (NTCs) must be established to try election-related offences and violations within a time-frame of one month, election reforms must make honesty compatible with public office and create a fusion of authority and responsibility within the gamut of citizen-centered governance. Electoral reforms must respect the people’s sovereignty and the instruments of accountability [Right to Information, Citizen’s Charters with penalties for non-performance, Stakeholder empowerment, making crime & corruption investigation agencies independent and autonomous. Therefore, the idea of a democratic polity is incomplete without periodic elections. The attitudes, ethics, and values of a society wedded with democracy of diversity and multiculturalism are expressed in elections. People’s sovereignty is asserted in the elections that accords legitimacy to the government and its lego-institutional structure for good governance. A free and fair election is the backbone of a democratic political set-up and same has been ordained in the schematization of the Constitution of India.